A few months ago I started looking for decorations for the orphanage. We want this to feel like a home and not just a place these kids get to sleep in. I researched different places and began my "Dream list" of decorations and things that I thought would send a positive message and personalize our home for these kids. I ran across a shop on Etsy called Cellar Designs. I emailed Sarah Stevens who runs Cellar Designs and explained what I was doing. 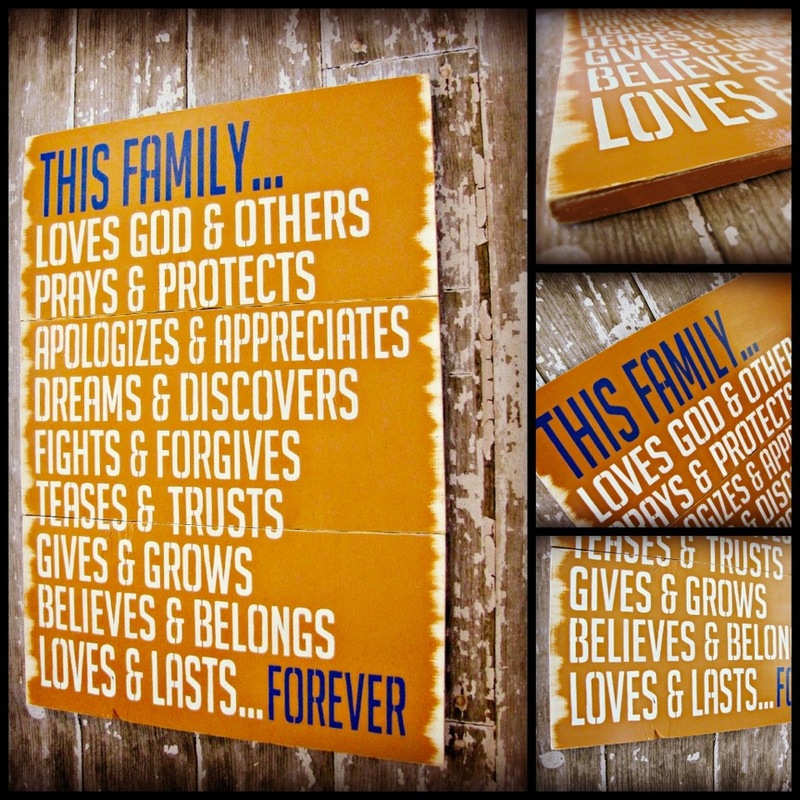 We had great email conversations back and forth and I decided for us to purchase one of her signs to hang in our dining room. We customized the words for what I thought would best fit the kids and Sarah even color coordinated the sign to match the Kershaw's Challenge and Arise Africa Colors. I was so excited for this sign. The biggest gift we got was when Sarah asked to do this for free for us. It was a major blessing to know that people are willing to give their skill money and talent to these kids. Sarah's husband also custom made the wall hanging for the sign since it usually requires a heave weight system and bolts. They knew weight was an issue while traveling to Africa and he made a much more simple and easy way for us to get it there! Not that is service! If these folks lived closer to us I have a feeling we would have them doing all sorts of projects for us! And she so generously made the sign and even shipped it to us. You should check out Sarah's store and we are continued to be encouraged and blessed by great supporters!